Grossmont College is offering a comprehensive training program that can transform amateurs into licensed commercial drone pilots in three months. The training, which cost as much as $3,000 in the private sector, is free to anyone at least 18 old and a U.S. citizen. Register for surveying/mapping here, and cinematography here. The noncredit program is targeted to groups including veterans, Native Americans, military spouses, ex-offenders, women, high school students and the unemployed and underemployed. Drones are provided during the training. Registration is open for classes starting in March. Funded by a $6 million federal America’s Promise grant through the U.S. Department of Labor, the unmanned aerial systems (UAS) or drone technology program is composed of two tracks: surveying and mapping, and cinematography. The school says demand for drone pilots is skyrocketing, with predictions of a $250 billion industry worldwide this year. The commercial and military impact drones will have in the near future is significant, creating more than 100,000 new jobs by 2025, according to a 2013 report by the Association for Unmanned Vehicle Systems. In California, the number of jobs is expected to climb to 18,000, about a 400 percent increase since 2012. Contract work for one-time jobs such as industrial inspections can pay from $30,000-$60,000 for a six- to nine-month period, depending on experience and the nature of the mission, said Javier Ayala, dean of career and technical education and workforce development at Grossmont College. Starting wages for in-house drone operators range from $25-$35 an hour to $60-$100 an hour for fully trained pilots with three or more years of experience. Grossmont’s program prepares graduates for both contract and salaried jobs. Jim Bonnardel, who teaches Grossmont College’s drone surveying and mapping classes, said that in his class of 16 last year, several found jobs even before completing the program and three hung their own shingles as pilots for hire. One student is headed to South Africa for wildlife photography missions; another who is a professional photographer has already sold drone images to Getty Images; and a third student, a former pilot in the Colombian Air Force, now flies a drone instead of a jet. “I saw the need to fill the pilot jobs that are going unfilled and wanted to extend this amazing career to those who would not have gotten the opportunity,” he said. 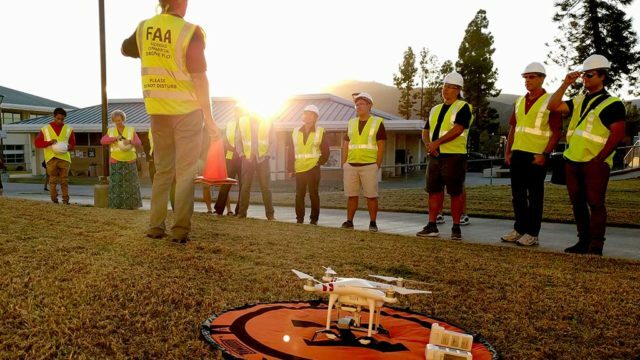 Grossmont College’s program will first provide UAS Ground School and Federal Aviation Administration 107 certification classes that students take to become licensed commercial drone pilots. The FAA 107 certification school will provide students comprehensive classroom instruction to pass the FAA 107 written test which is administered free to students. 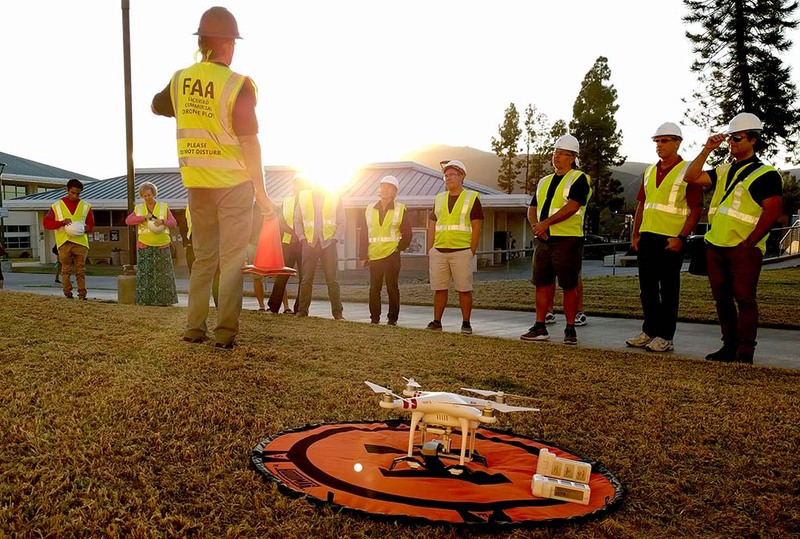 Once students complete the ground school module and possess a drone pilot license, they can then go on to take UAS Surveying and Mapping or UAS Cinematography. The UAS Surveying and Mapping track meets Monday and Wednesday from noon to 4 p.m. or 4 to 8 p.m. March 4 to June 19. The UAS Cinematography track meets Tuesday and Thursdays from noon to 4 or 4 to 8 p.m.